In my previous Blog on Frazer ThruLines, I looked at Gladys’ ThruLines. 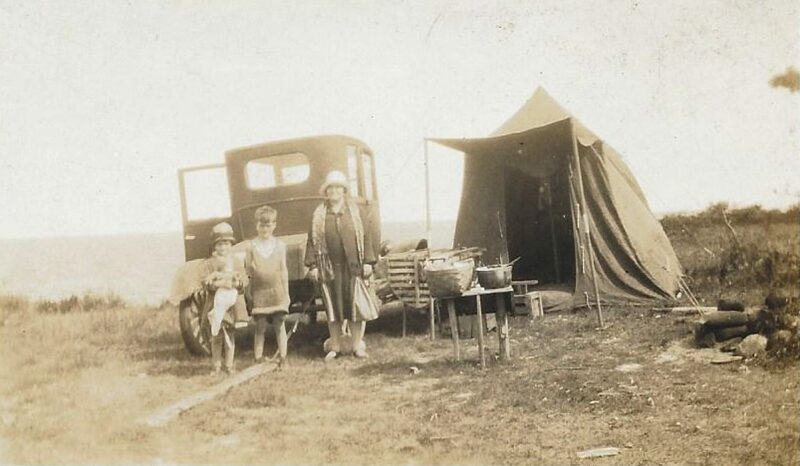 Gladys likely descends from three Frazer brothers: Philip, Richard and Archibald. Jane has given me access to look at her DNA matches, so I can also look at her ThruLines. ThruLines is supposed to match trees to DNA matches. 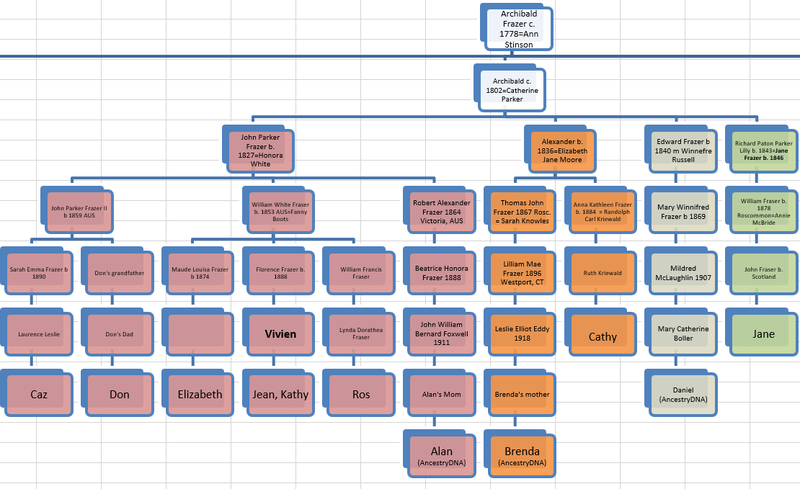 This gives additional assurance that the genealogy was done correctly. The first problem is that there are no DNA matches at Jane’s 2nd great-grandfather level. The second is that the ThruLines switch from Jane’s tree at her grandfather to K8777’s tree at her Great-grandfather level. At that level Jane appears to have the wrong great-grandfather. Oh my. What Went Wrong with Jane’s ThruLines? I have a similar problem with my Frazer grandmother’s mother. ThruLines is sure that her step-mother was her biological mother and I haven’t been able to fix that. 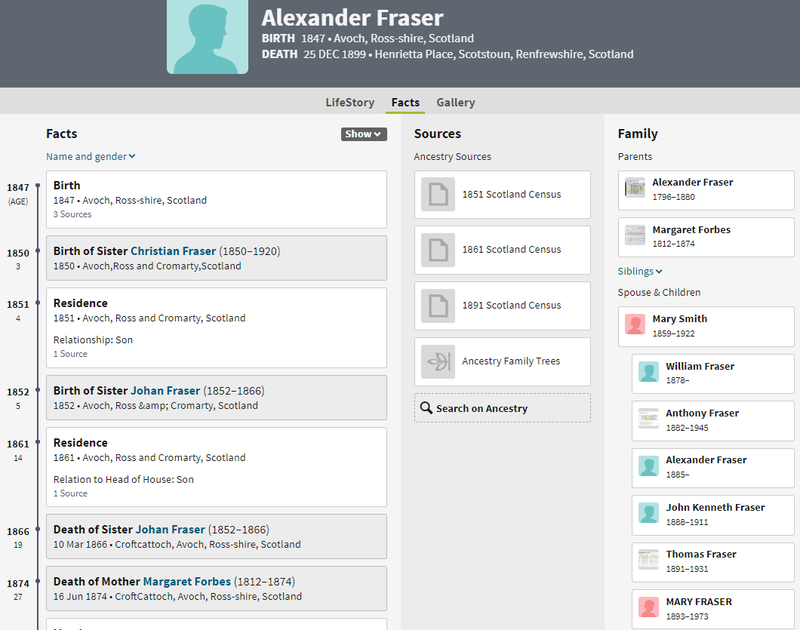 Jane’s tree has Richard P Frazser as the son of Archibald Frazer. k87777 has Richard’s father as Alexander Fraser. Hmm, what about k8777’s tree? That is almost 2 records per person. That is a lot. 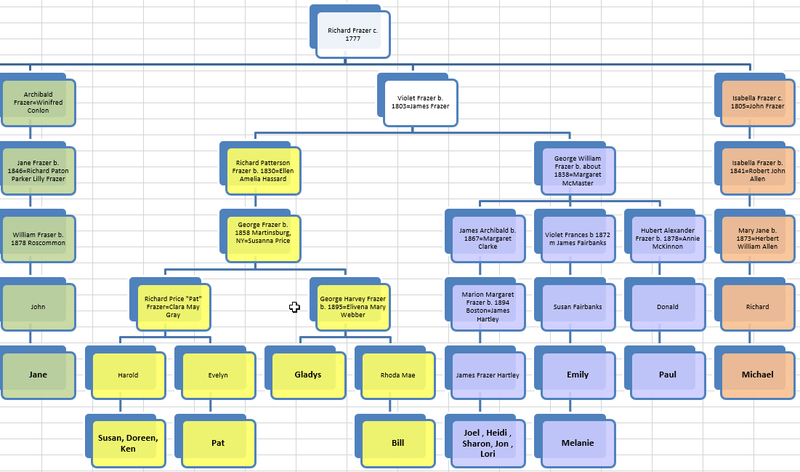 The tree switches again to Rachel’s tree and ends with a proposed Fraser 3rd great-grandfather for Jane who is wrong. This is pretty bad. 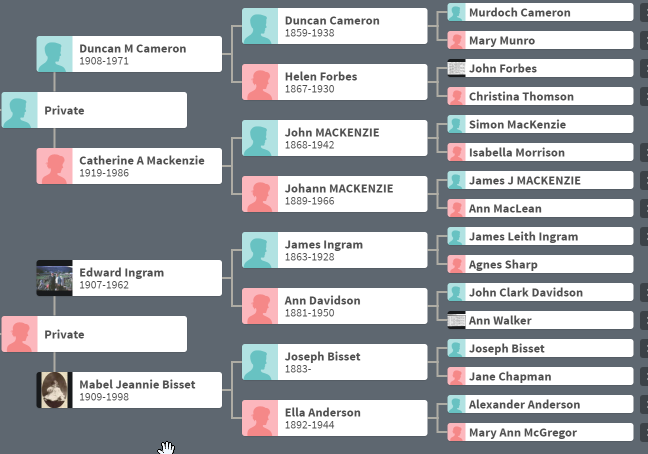 I don’t understand how Ancestry could have done such a poor job. 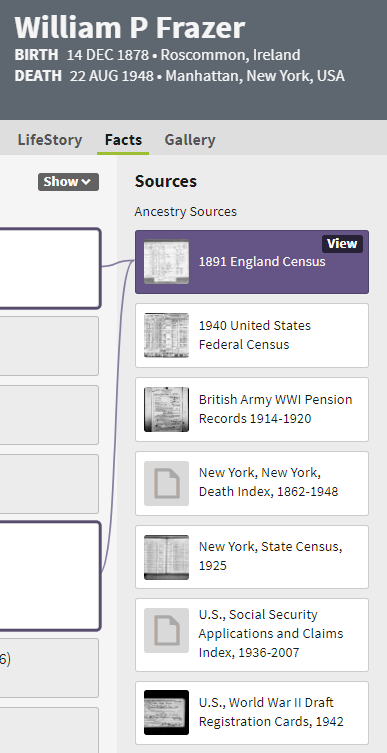 Jane has a ton of Frazer DNA matches and good genealogy to go with it. Whatever formula they are using didn’t work for Jane.